"I studied Physics at the University of Crete at the undergraduate and postgraduate level. I pursued my PhD at Stanford University in California in the field of Condensed Matter Physics, Superconductivity and Quantum Theory of Magnetism. My occupation with these issues is due to the influence of one of the world's most intelligent and scholarly scientists, my subsequent professor and supervisor in my doctoral thesis, Steven Kivelson." Hieromonk Athenagoras says that he turned to the monastic life because "from a young age I held Orthodox monasticism in a special place in my heart, but my acquaintance with my spiritual father, Bishop Makarios of Christopoleos, and with the Epanosifi Monastery in 2007, was what played a catalytic role in the crystallization of the monastic inclination in me." 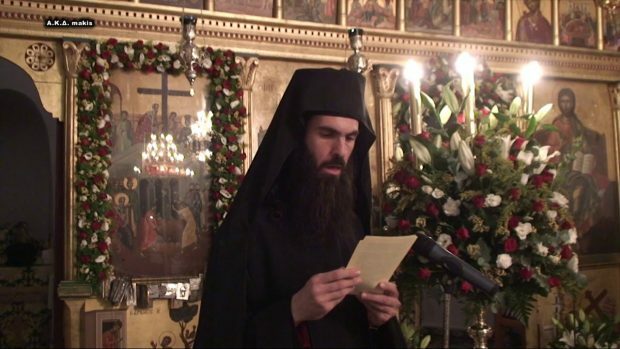 As he says, "there must be some great love and fiery eros for Christ to decide to leave everything aside and devote your soul and all your existence to Him." 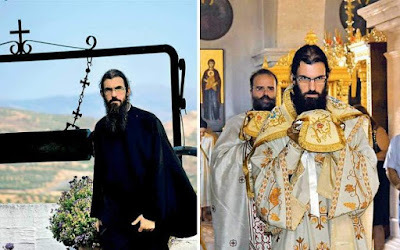 He points out that "the combination of being a positive scientist and a monk is somewhat unusual and rare, but there are many roads that lead us to a destination just as well. 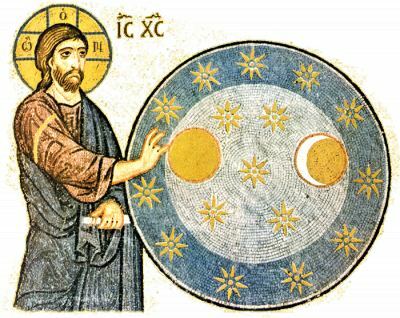 Thus, a starting point for monastic life may be the path of the scientist," while stressing that, "I do not reject science, but as time passes, I realize that spiritual life cannot be compared to anything." Father Athenagoras provides two services at the monastery. 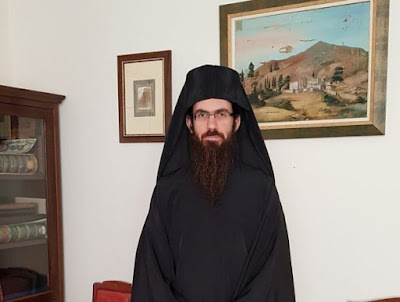 "In addition to the liturgical life and secretarial support in the monastery, I deal with the management of the photovoltaic solar park and the wireless networks of the monastery, as well as with participation in various European programs for investment and sustainable agriculture." He goes on to say, "The two roles are not as incompatible as one thinks at first glance. One important reason is that modern reality has brought to the forefront some issues that have not existed for centuries - bioethics, environmental protection, sustainable management of resources and the power at our disposal. Our Church is called upon to take up these issues and also to help them deal with them. So, we need clergy with a similar scientific background."